It might take me a while to settle into the new posting schedule. Bear with me. I didn’t manage to finish the pink cloud, nor did I get all of my blocking done. 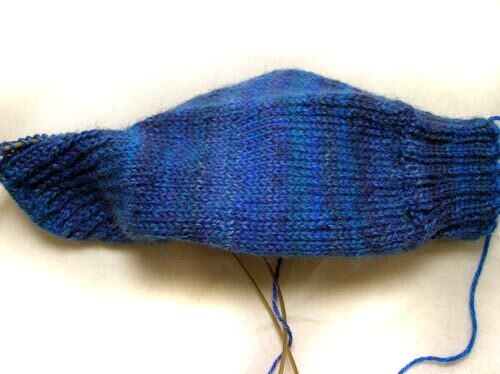 I’ve been swamped by homework, of all things, so most of my knitting has been in bits and pieces, which means sock knitting! I’ve been working on this one during my calc 2 class; my classmates are fascinated. 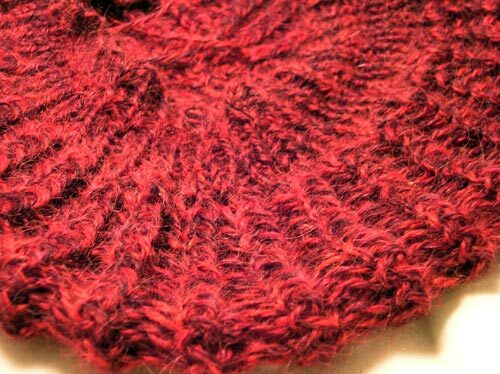 But now it gets set aside (for the moment) because I need my 1.5s for another project, which should be brief, but is a seekrit. 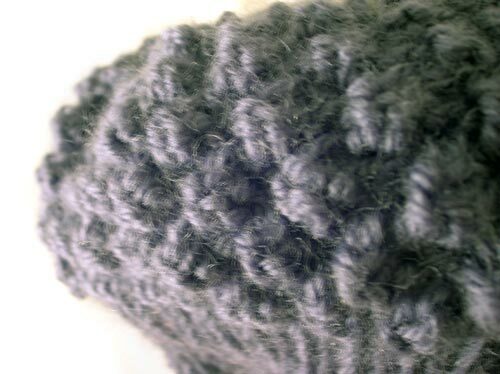 And since I suspect the recipient reads this blog, I really can’t talk about it until the finished object is in his or her hands. …That would be me. My unexpected blogging absence came courtesy of the beginning of the semester, and a rearranged schedule. I used to try to post on Tuesdays and Thursdays, because those were my days off from class, but this semester I’m only taking two classes–both on Tuesdays and Thursdays. So my posting schedule needs a bit of rearranging. Not to mention I need a job. 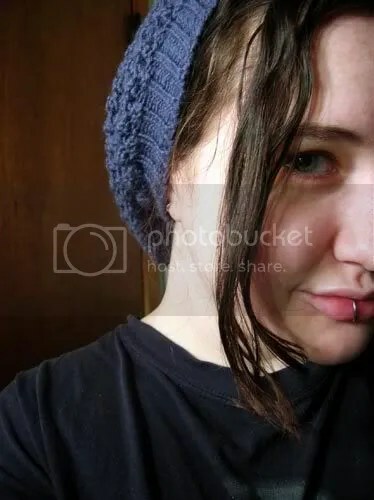 Anyone looking to hire a nineteen year old with a lip ring and a calculator in her brain? Yeah, no one else is either. So what have I been up to this week? 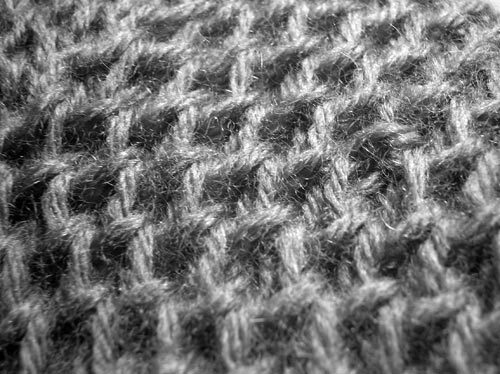 I’ve been knitting a bit here and there. 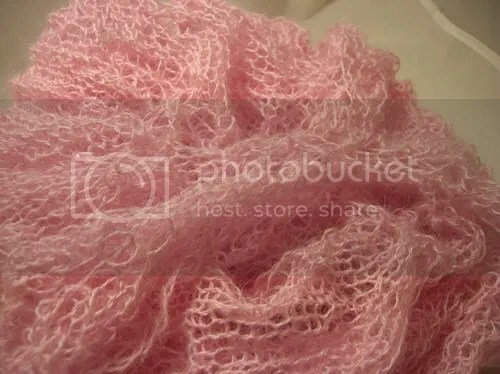 This fantastic cloud of candy floss is a test knit, so I can’t talk about it just yet, but it should be done shortly (maybe today!) and then I think I can share better pictures. I’ve also been designing a bit here and there. 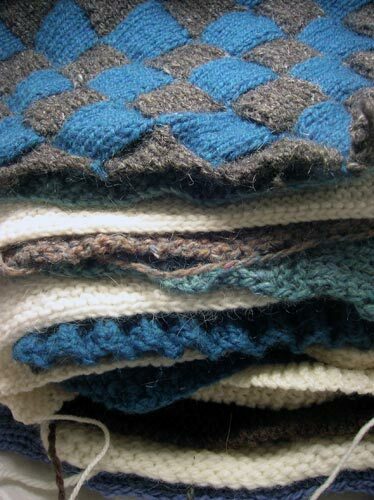 I’ve just got a few more swatches to do and then I think I can start knitting this thing… I have no idea how it’s going to work or anything, especially since I’ve yet to successfully knit a sweater. 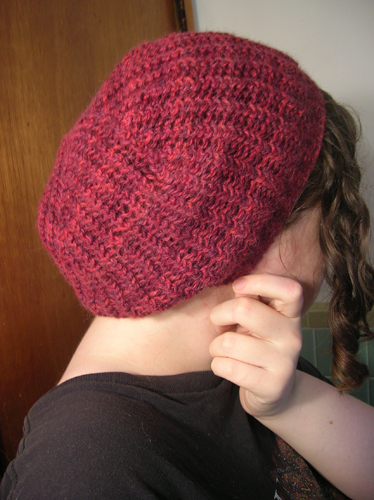 Maybe I should put this one on hold and knit from someone else’s pattern first. Or would that make too much sense? In any case, I plan on having a bit of a blocking party tonight, so I should be able to share the results of that on Wednesday. And, as of this morning we’re fostering a little baby kitteh, so Caturday this week should be interesting. Eeee! 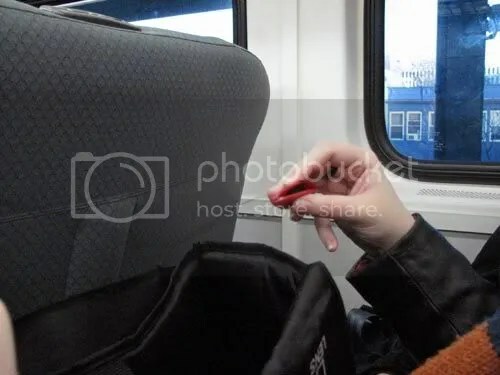 It took me three photoshoots in three different locations to get modeled pictures that I was happy with, because my camera is so damned fussy over reds. I’m still not satisfied with the unmodeled shots; I’ll probably re-shoot them in black and white and then add color digitally. You guys. Seriously. 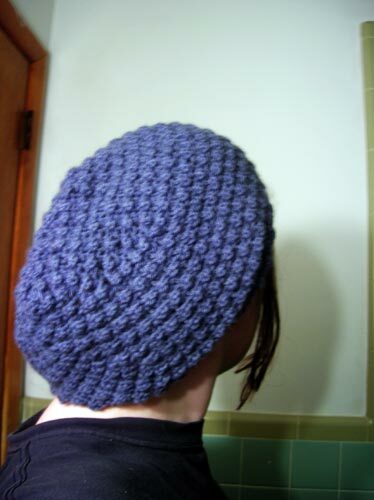 Thank you for all the positive responses to my pattern. 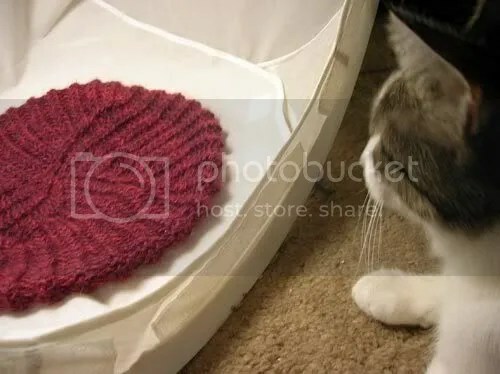 I was all aflutter and worried that people wouldn’t like it, and then last night I had a dream that a bunch of people on Ravelry had made it and all of them had ended up as UGHs… it was very sad. But apparently that is not the case, and now it’s making me want to design more… much more. 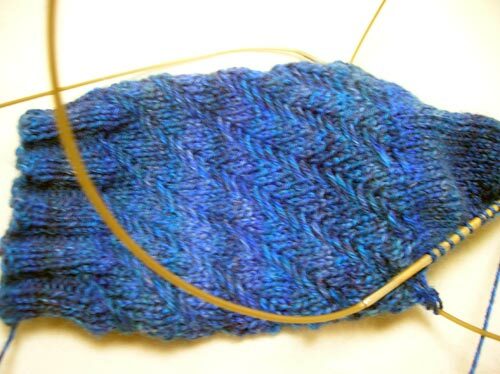 Besides River Tam (more on her later), I’ve got a couple more things churning around in my head… a sweater, a lace piece maybe. Definitely some good stuff goin’ on there. She is turning out much simpler than her brother, which is strange, because I figured she’d be more complex.. and twisty, you know? But she can still throw you (or me, in this case) for a loop. 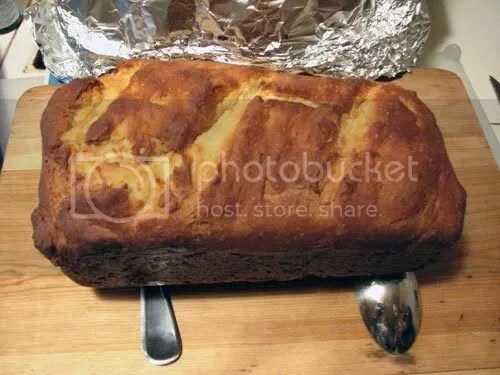 I made the same stupid mistake, ten times in a row, then didn’t notice until five rows later. Normally I’d be all, eh, whatever, who cares, but something tells me that as the designer of this hat, if I can’t get it right I shouldn’t be expecting anyone else to, should I? So I’m fixin’ it. 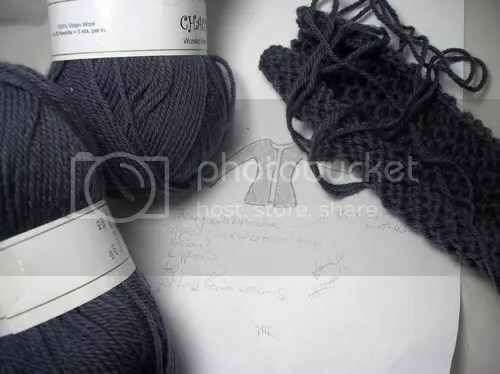 The grey one currently has my attention, because I want to do most of my fooling around in a yarn/gauge I’m already familiar with. 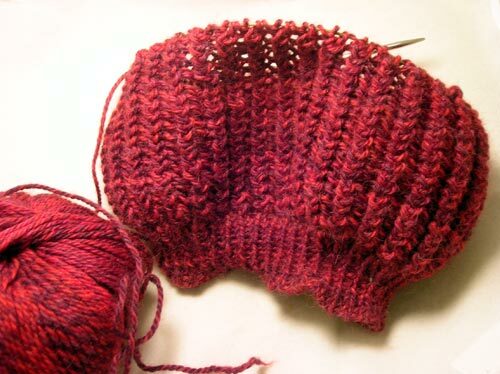 The red is an alpaca DK weight that I actually have high hopes for; I know that an alpaca hat seems like it’s asking for trouble of the not staying on the head kind, but I’m hoping that I can hit the magic stitch count number and the right stitch pattern to make it work. 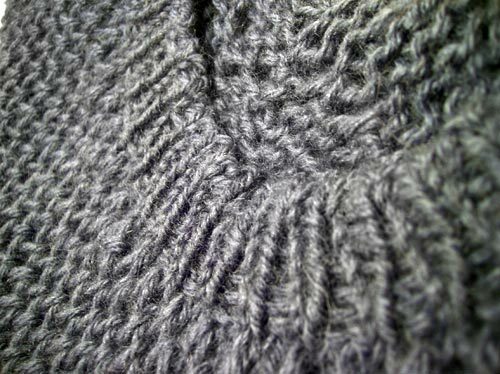 I’m using a variant on brioche for the grey hat, which I’m really liking so far. 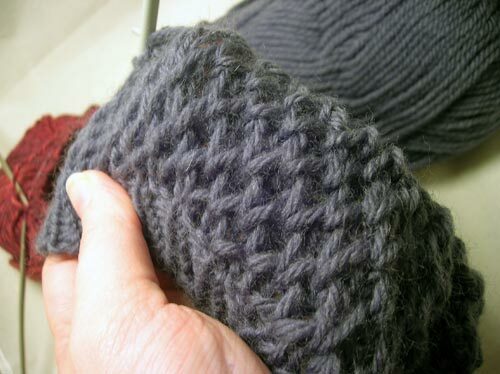 Although admittedly there was some teeth gnashing when I realized that the instructions I was using for the stitch were written to be knit flat, and apparently no one has written instructions for doing it in the round. 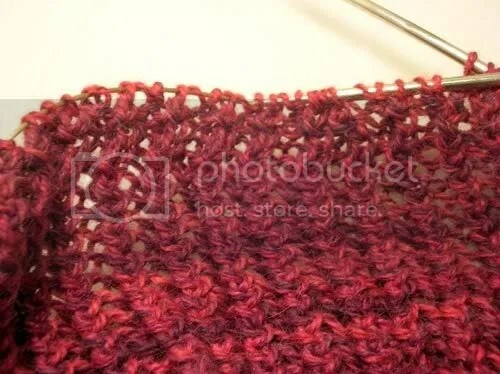 Pretty sure I’ve got it worked out now though (at least it looks like I do), and if I don’t publish a pattern (I probably will), I’ll still post the modified stitch pattern for sure. 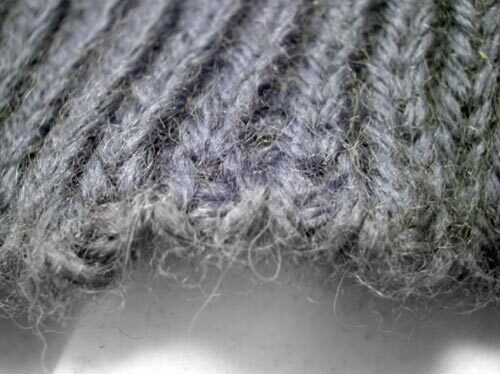 Speaking of publishing a pattern, I’ve already thought of some perfect names for the hats if I do. And you’ll never guess. Okay, maybe you will. But I’m quite pleased with the names, so I hope I end up equally as pleased with the tams themselves. 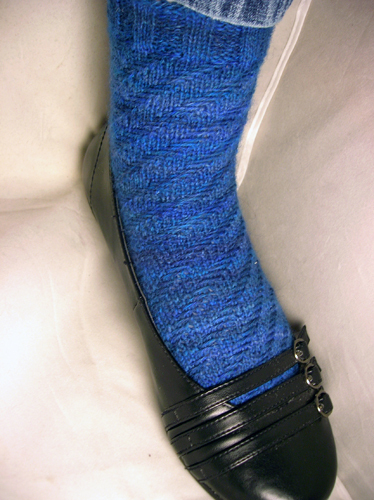 Oh, and I did end up ripping out that stockinette sock in favor of the patterned one–and now I’ve remembered why I hate patterned socks. I have to pay attention to them. Gasp, shock, horror. 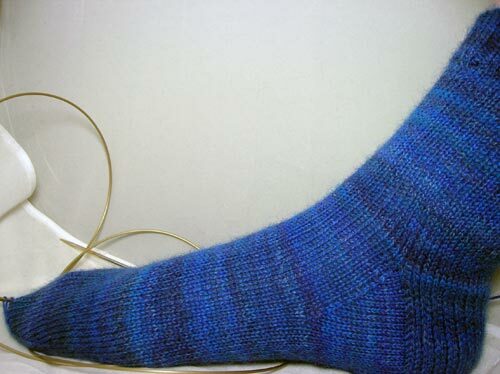 Socks are usually my on the go, quick grab a stitch here or there kind of knitting. Which becomes very hard to do when you have to focus on the pattern. 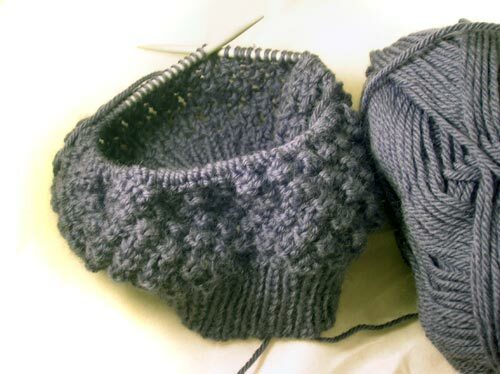 I think I’ll get these done, just because I do love the pattern with the yarn, but you’d better believe that I’ll be complaining about it the whole way. 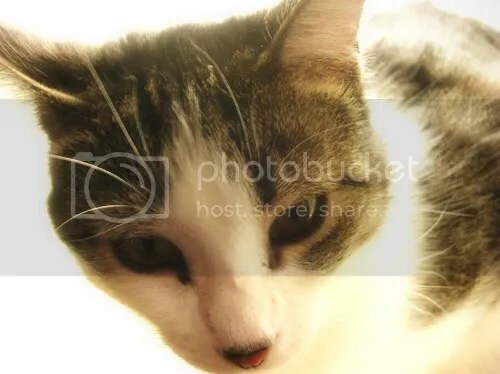 And some way late Caturday for you. 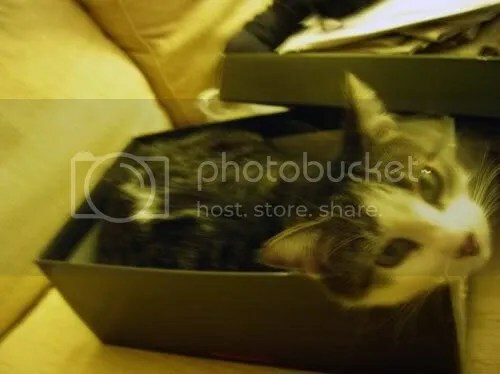 “I iz shoez!” she says. But then I try to tickle her with my feet and I get claw marks in my toes. Yeah, yeah, I’m a dork. But I’ve got a kickass hat! 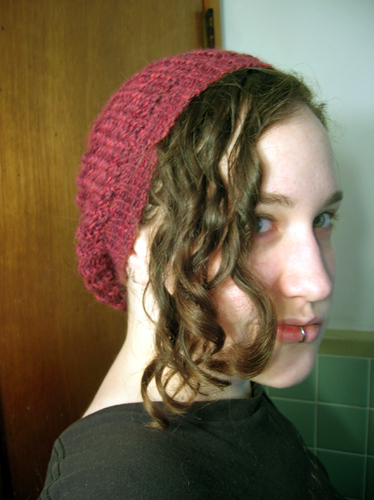 I think this means that I’ve finally–finally found a hat shape that works for me. It covers my ears! It holds all of my hair! It doesn’t make my very large forehead look strange! Now I want to design a whole series of loose tams like this one. 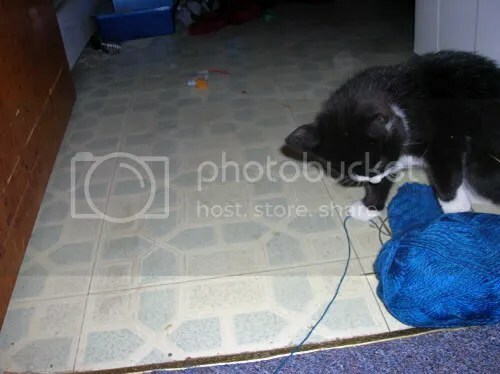 Using this yarn. It feels just like Cascade 220 to me, but I paid less than $30 for a bag of ten skeins at Rhinebeck. Plus I think the color looks fantastic on me. 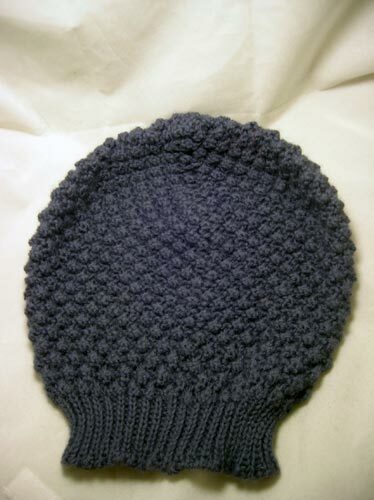 And it cracks me up that the bobbly hat looks like a giant bobble itself. 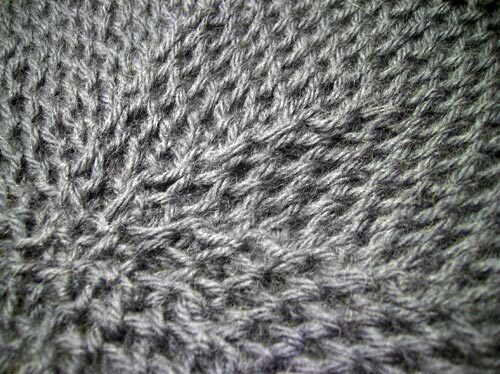 Honestly the trinity stitch wasn’t too bad–as I mentioned earlier, would’ve been easier with my KP needles, but as soon as I got used to doing the knit even rounds loosely, the dull SB needles weren’t a problem. My one complaint would be that there is, perhaps, just a bit too much hat, here. 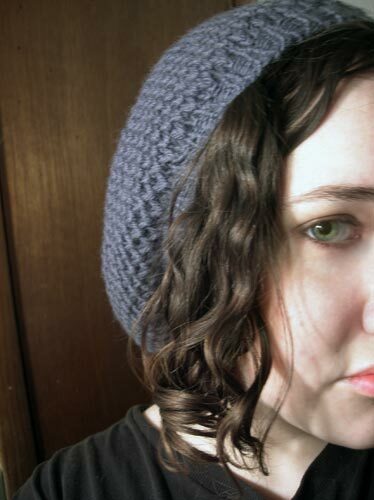 If/when I make another tam like this I think I’m going to go for a little shorter and perhaps a bit less wide. But I’m not bothered enough by it to rip it out and do it again. I’m tempted to walk up to random people to ask them to admire my tubular cast on, but I realize that for some reason that sounds very, very dirty. So I’ll try to restrain myself. Mods: hoo boy. 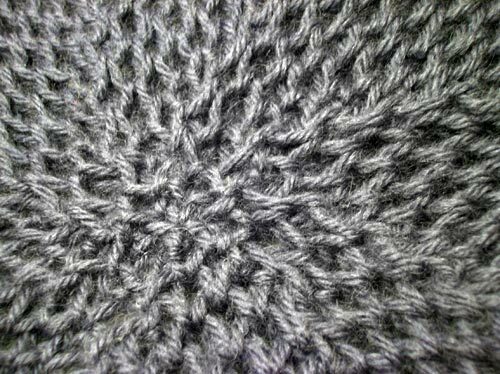 Used worsted instead of bulky, changed needle size as noted, used a tubular cast on to cast on 78 stitches, increased to 116 for the bobbles. the decrease section calls for four bobbles to be decreased every fourth round; I wanted a faster rate due to my larger stitch count, so I decreased five bobbles every fourth round until I ran out of stitches to do that in, then I decreased as many bobbles as I could, still every fourth round and maintaining pattern stitch, until I was down to eight stitches, at which point I k2tog’d all the way around, then drew the yarn through the remaining stitches. Duration: Three days including blocking. 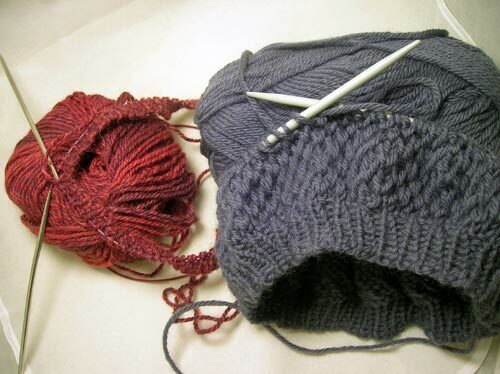 … to bring you: hat knitting!